Peter Drew is back raising money for Myton Hospice with a two day music event at the Lillington Club taking place on Friday 30th June/Saturday 1st July. For the lowly sum of £5 for each day (which of course all goes to the Hospice) you can see and of course hear a wealth of local musical talent. 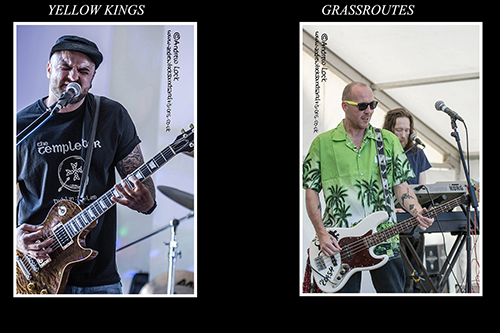 The music kicks off on the Friday at 7pm with bands including grunge rockers Yellow King and hot on the tails of their show stopping energy filled set at the Leamington Peace Festival ska stars Grassroutes. It’s an earlier start on the Saturday at 2pm with opening band Southern Cross bringing you the best of Southern rock and there is also a good dose of afternoon blues with Blues Extra and then later in the night we have the magnificent classic rock sounds of The Jolly Rogers. Around 15 great bands on offer over the weekend and all to raise money for a great charity, see you there.